Winning all three games played during the week, the Roadrunners upped their season point-total to 73, improved to an overall .640 points percentage, and saw their magic number plunge to the teens. Wednesday night in Bakersfield, the team earned its 10th overtime victory of the season – tying the Texas Stars for the most three-on-three post-regulation wins in the AHL. Mario Kempe scored a pair of goals, including the game-decider 1:27 into the extra frame to clinch the win over the Condors. In Friday’s 3-0 victory over the Stockton Heat, Hunter Miska earned the first shutout of his professional career, stopping all 23 shots he faced. The win was Miska’s 18th of the year, which is the second most among AHL rookie goaltenders. 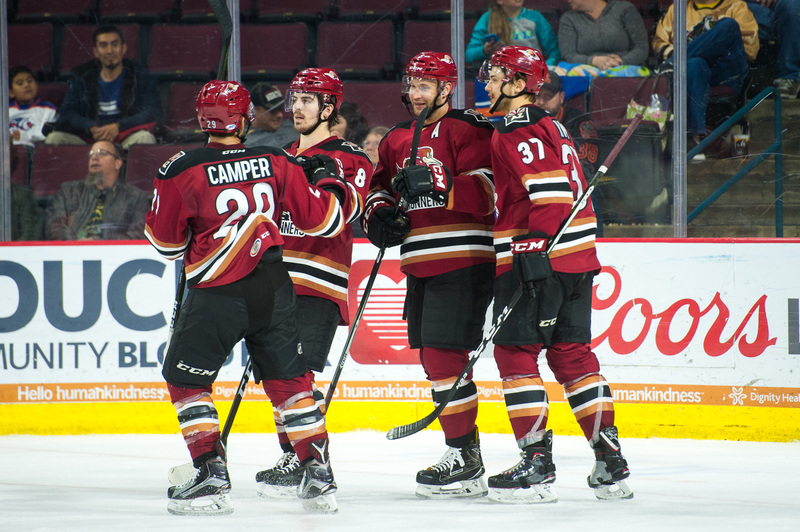 To pad Miska’s shutout, Mike Sislo provided offensive support in the form of two goals, matching Dylan Strome’s team-lead in goals scored and upping his season point total to 42, which is now the second highest single season total of his professional career. Carter Camper registered three assists in the win; he has 12 points (1G, 11A) in the seven games he’s played since making his team debut. 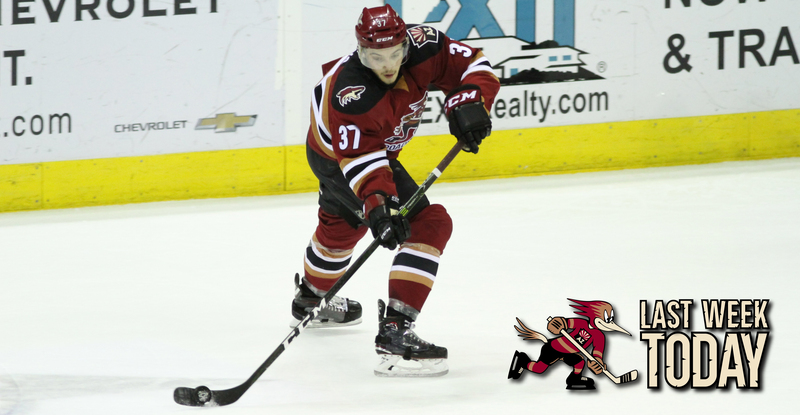 On Saturday night, Conor Garland struck late, scoring with 3:26 to play to boost the Roadrunners to a 2-1 victory over Stockton. Dylan Strome registered his 50th point of the season in the win, becoming the 17th player in the AHL to reach that total this year. Only two players, Providence’s Austin Czarnik (46 games) and Laval’s Chris Terry (44 games), reached the 50-point mark in fewer games than Strome, who did so in 47. The team's road record, which improved to 20-6-2-1 (.741) following the three wins, is ranked second best in the league behind only the Toronto Marlies. Adin Hill earned his first NHL win Tuesday night at Gila River Arena in what was his fourth start with the Arizona Coyotes. Hill made a total of 34 saves in regulation and overtime, and turned away four of the five breakaway attempts he faced in the shootout – including the Los Angeles Kings’ Tyler Toffoli in the fifth round to clinch the win. Circling for space with possession of the puck just over a minute into overtime on Wednesday night at Rabobank Arena, Nick Merkley’s contested pass attempt finds its way to Dysin Mayo. Mayo, after settling with the puck, awaits and feeds a streaking Mario Kempe, who beats Bakersfield’s Laurent Brossoit high to the blocker side to secure the Roadrunners’ 3-2 win over the Condors.